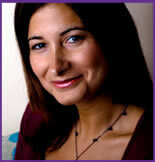 Cara Ostryn Bsc runs The Rickmansworth Hypnotherapy Clinic based within our clinic. It is one of London’s most well-known and successful full-time Hypnotherapy and Psychotherapy practises. She has twelve years experience as a clinical hypnotherapist and registered Pure Hypnoanalyst . She has successfully treated thousands of people with stress and anxiety-related problems, phobias, weight problems, confidence, social anxiety, panic attacks and her stop smoking one-session treatment produces excellent results. Cara specialises in Pure Hypnoanalysis and believes it is THE most effective and quickest form of hypnotherapy available today for almost all psychological, emotional and stress-related symptoms. She also trains clients to conquer symptoms and anxieties using ‘Changing Limiting Beliefs’, a program designed to empower clients by changing and improving the way they think and feel about themselves and their lives.